To raise funds for Louisiana musicians affected by the recent Louisiana flooding, Gator By The Bay, the largest Louisiana-themed music and food festival on this side of the bayou, and The Bon Temps Social Club of San Diego, a non-profit organization that sponsors Cajun and zydeco dance events, will host a benefit concert on Wednesday, September 21, from 6-11pm at Tio Leo’s Mexican Restaurant in Linda Vista. Admission is $10 with all proceeds going to a Louisiana Musicians’ Flood Relief Fund. The musical line-up features seven top San Diego zydeco, blues and swing bands. 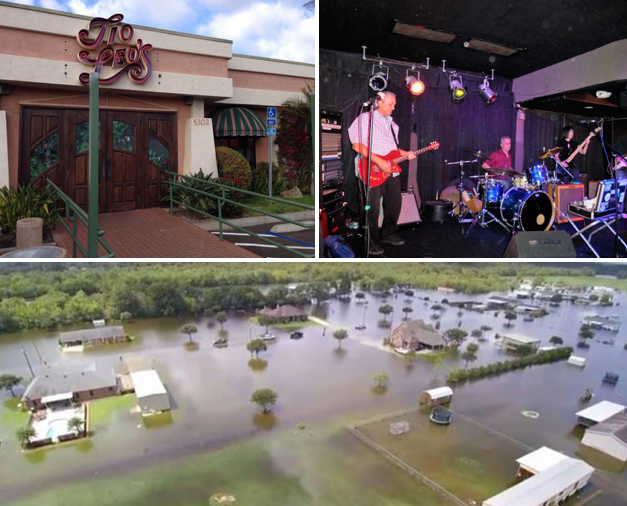 "With such a catastrophic flood devastating Louisiana, we wanted to do our part and put something special together to help support Louisiana musicians in need," said Peter Oliver, Gator By The Bay producer. "For the past 25 years, we have been celebrating Louisiana music and culture. When a sudden tragedy hit the community, we knew we had to lend a hand." For those not able to attend, contributions to the dedicated Louisiana Musicians’ Flood Relief Fund can be made online. To get the fundraising started, Gator by the Bay and the The Bon Temps Social Club of San Diego have contributed $1,500. The September 21 event will include a silent auction of a house concert featuring The Bayou Brothers and two limited-edition, signed and numbered Gator By The Bay posters. Opportunity drawings will be held throughout the evening for CD’s, Gator By The Bay t-shirts, restaurant gift cards and other valuable prizes. The evening will begin with a dance lesson with Greg Benusa, followed by performances from Naked I, Euphoria Brass Band, The Bayou Brothers, Sue Palmer and her Motel Swing Orchestra, Theo & The Zydeco Patrol, Mercedes Moore Band, and Casey Hensley Band. Tio Leo’s Mexican Restaurant is located at 5302 Napa Street. For more information about the benefit event, visit GatorByTheBay.com.